The remote for the e25 Luna is slim, sleek and easy-to-use. This wireless remote gives you full control. Power on, crank up the music, and rock out with the wireless remote then turn it down after the party and chill. The remote is 4-inches long so you can place it in your pocket and control these speakers from any corner of the room. The remote comes in a silver colour. The buttons are black and circular and are easy to distinguish for each other. 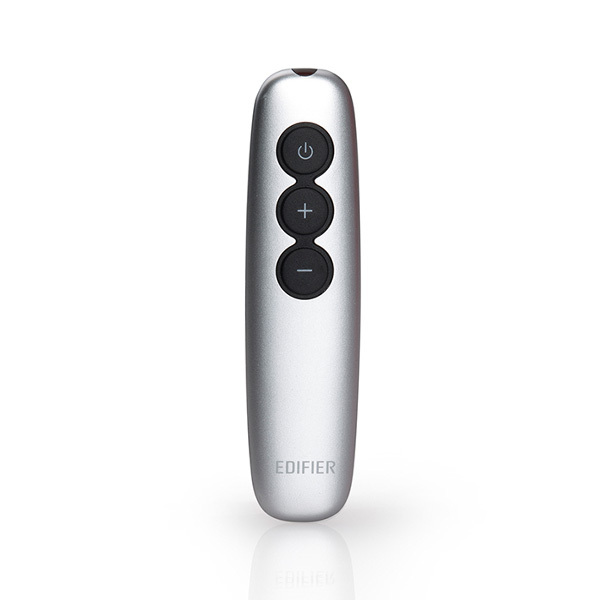 This remote is sleek with its rounded edges. 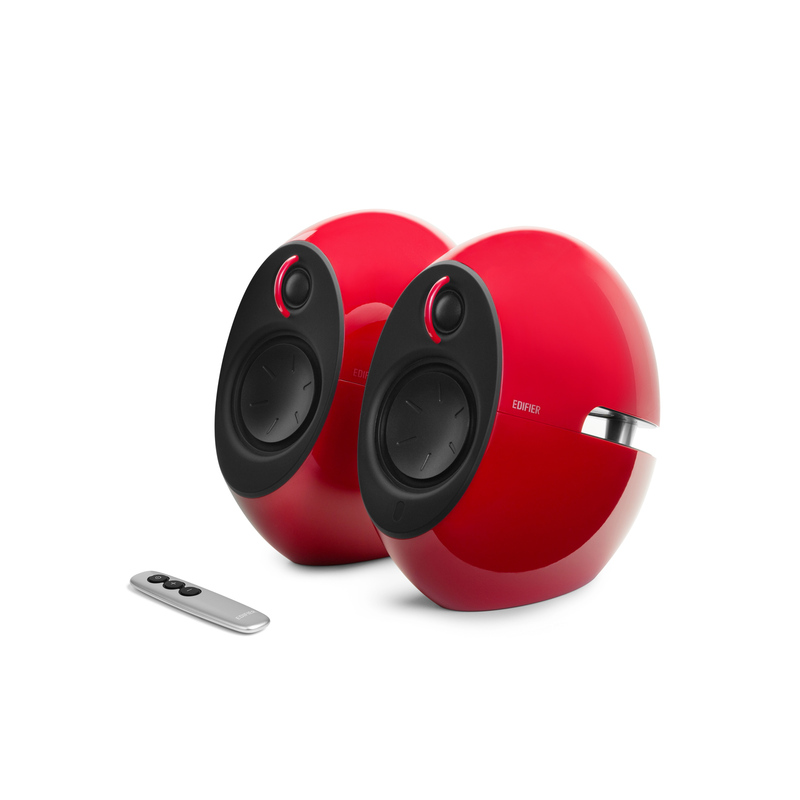 The rounded edges complement the speaker systems themselves. This rounded look makes the remote and speaker system appear as though they were created from the future. The round buttons of the e25 Luna feel great and make a satisfying click sound when used. The e25 Luna remote is compatible with the e25HD Luna HD. The remote controls the speaker through infrared. Since infrared uses light to input commands, a line of sight to the receiver must be made for the remote to function. In order to replace the battery in the remote, place a coin into the slot and turn it anti-clockwise to open the battery compartment. Then install a new CR 2025 V3 battery. Once done, close the compartment by rotating it clockwise. This remote is part of the e25 and e25HD Luna and Luna HD speaker system. These 2.0 speakers are Bluetooth capable and have dual passive bass radiators located in the back of the speaker for an enhanced bass effect.